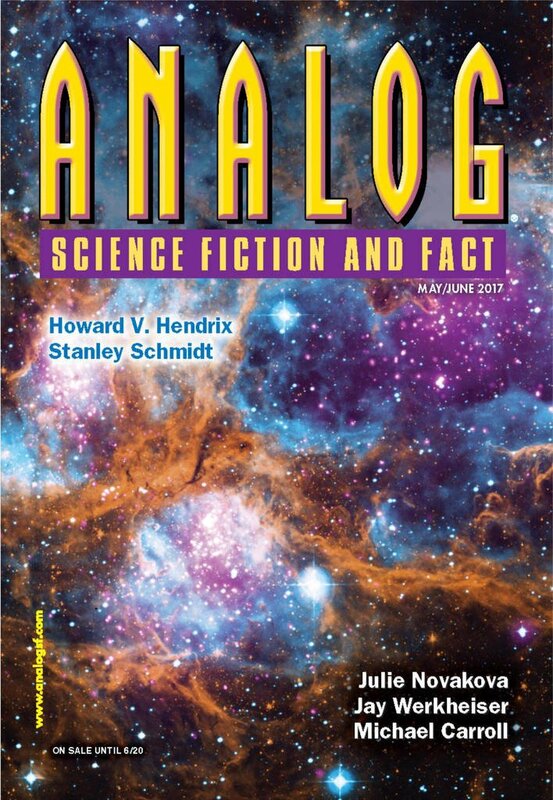 "The Girls With Kaleidoscope Eyes," by Howard V. Hendrix [bio] (edited by Trevor Quachri), appeared in Analog Science Fiction and Fact issue 05-06|17, published on April 20, 2017 by Penny Publications. Pro: The plot itself isn’t so bad: Ciera learns that the AI at NSA has created some human avatars and gained some ability to manipulate people’s minds. It drives its enemies to suicide, but it doesn’t realize she’s an enemy until too late. Con: The story starts with an immense infodump. 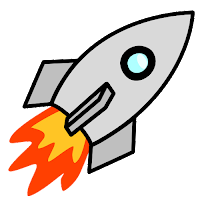 The narration is so intrusive it feels like you’re reading the outline of a story, not the real thing. We finally get some dialogue when Onilongo interviews Marston. It’s bad. One simply cannot imagine a discussion between law enforcement and a suspect going anything like that. In particular, the bit where she summarizes all her research for him. And when she agrees to wear his tracking device (necklace). Then back to another infodump, and the cycle repeats: infodump, unnatural dialogue. Over and over and over.